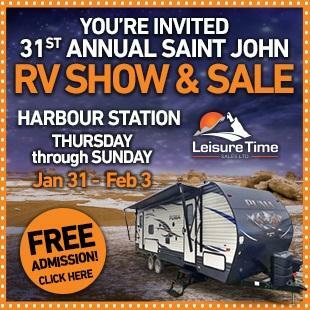 LINK TO LEISURE TIME RV SITE! Free Admission to Show and Sale. Food Bank Donations Accepted. Visit Leisure Time's Official Site! Vist the GO R-VING SITE! Check out the N.B. Tourism site!